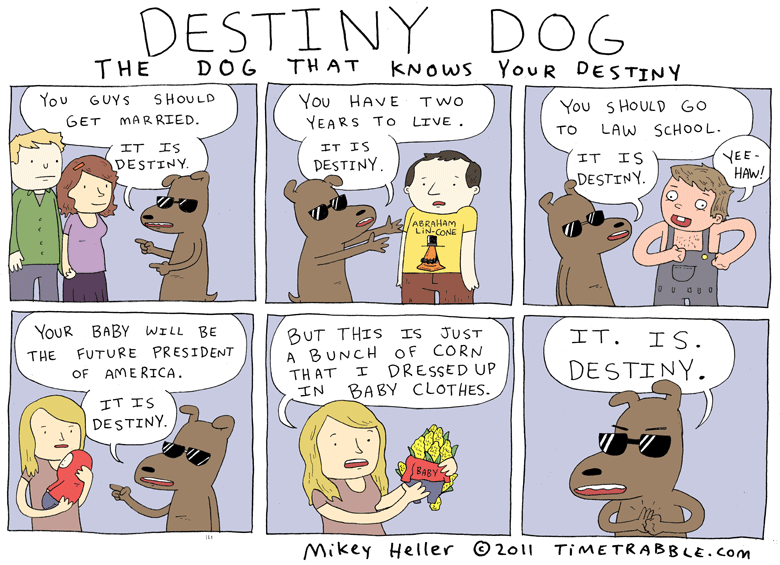 Remember Destiny Dog? Yeah. It’s that time of year. You will grow more powerful with every comic you create. It is destiny. You will have more comics to read, Flint. IT IS DESTINY. Also, I want a Lin-Cone shirt.